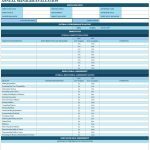 This free paycheck calculator template is mainly used for recording the pays and deductions of your fellow employees in your very own company or firm. It’s very useful in keeping track of their performance, especially when it comes to their salary. The template offers the basic details such as name, address, date of joining, annual salary, allowances, and anything related to tax references. With this free paycheck calculator template, you will have a full set of the gross pay, taxable amounts, all statutory payments which were made and taxable expenses along with its benefits as well. 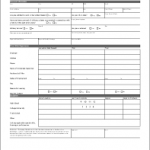 In this template, two sheets have been made available for the very purpose of the data input. 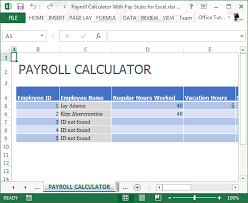 The paycheck calculator template has different types of tables for unique types of calculations in its first sheet, such as gross pay, status and withholding, pre-tax adjustments, post-tax adjustments, pay check estimate and a bar graph to show the performance. These tables are very vital in deciding for the net pay, because it puts everything into perspective and therefore is expected to have less errors and miscalculations. With this template, you’ll be able to see every single digit of every category alike. This is what the first sheet provides. In the second sheet of the paycheck calculator template, it’s a little bit more complicated but still precise and specific in the information it requires, which is what an invoice requires when it comes to business deals and plans. The second sheet is basically the federal tax tables, which shows the amount of pay that will be given weekly, biweekly, semimonthly, monthly, quarterly, semiannually and annually. Below the table for the expected pay, there is also the percentage method tables for income tax withholding. There are two categories, meant to differentiate the pay between a single person and the married person. Each table shows the breakdown of the weekly, biweekly, semimonthly, monthly, quarterly, semiannually and annually pay an employee receives, especially with regards of their marital status. In each table, you will be able to clearly see the amount of pay received, amount of pay withheld and the percentage of those digits. With this template, you’ll be able to clearly see breakdown of why the employee’s salary is in that specific amount, because the template clearly follows a pattern with each individual, depending on the payroll. This template will be able to help you with keeping track of your employee’s payrolls because it clearly states out when you’re going to give the amount of pay and why that employee received that specific amount of pay. With this template, you will have lesser problems keeping track and recording the performance of your employees, in which you will base their payroll with.